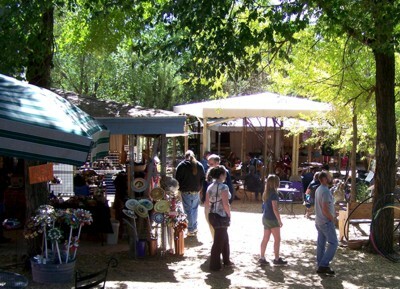 The Tijeras Open-Air Arts Market, (TOAAM) is a juried arts, crafts, and live music event held each Saturday and Sunday throughout the summer. 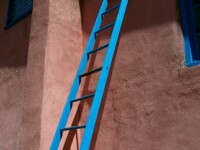 Located just seven miles east of Albuquerque, our market is adjacent to Just Imagine Gallery & Coffee House in Tijeras. Originally operated out of Anna King’s home in the East Mountains, Just Imagine has gone through numerous changes to become what it is today. What began as a jeweler’s studio in 1985 bears little resemblance to the full fledged retail store, coffee shop, and arts market it is just twenty-seven years later. Now located on Historic Route 66 as the gateway to the Turquoise Trail, the gallery, coffee shop, and arts market all share space at one of the most beautiful and history-rich locations in the Sandias. 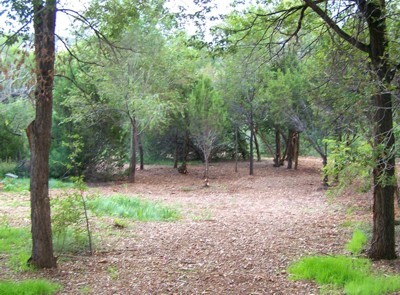 Nestled beneath tall, shady trees is the old-fashioned adobe building which houses the gallery and coffee shop, built from dirt bricks dug directly from this very property some 100 years ago. The rock wall surrounding our land shares much of this history–some of its oldest parts, we’re told, date back to the American Civil War. Fueled by her love of both coffee and the community, Anna set out to create a cozy, comfortable coffee house where residents of New Mexico could meet over a gourmet drink. Opened in 2003, the coffee shop sports a European atmosphere with both inside and outside shaded seating. Our customers can enjoy browsing the store while they sip their drink, or perhaps sit down outside with a nice book (or ebook!) 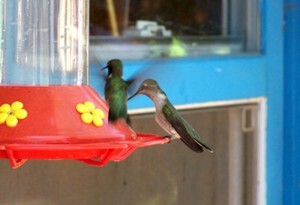 amongst the hummingbirds in our Hummingbird Pavillion. 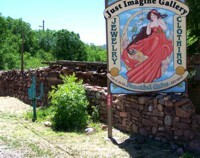 Since 2006, Just Imagine Gallery and Coffee House has been home to the Tijeras Open-Air Arts Market. Seeking to provide a routine, affordable, well-organized venue for Southwestern artisans, Anna purchased the land adjacent to Just Imagine and enlisted the help of her family in clearing the property and building the booths that now form the arts market. As the only regularly scheduled art and live music venue in the East Mountains, we firmly believe in the strength of the arts in our community. Whether you are an artist or an enthusiast, a life-long coffee drinker or a casual passerby, there is something here for you. Come out this weekend and join the family!